Open the appropriate folder containing the files that you want to share. Get the share key by clicking on the Key tab. Click Copy for the Read Only line. 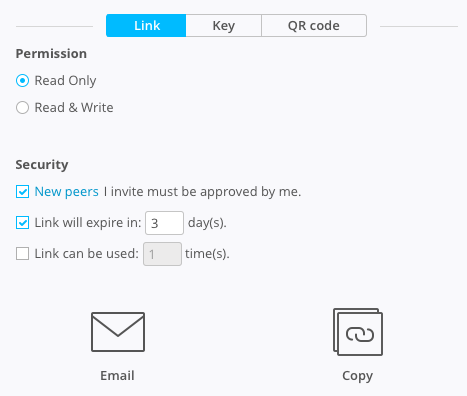 Send the share code to persons with whom you want to share the files. Wait until the syncing of files is completed. If computer is shut down or the internet connection breaks, the syncing of files should automatically resume.